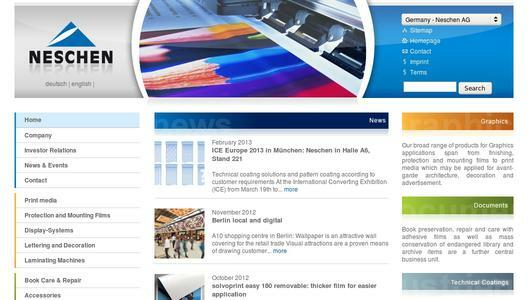 Neschen, leading manufacturer of protective films in the library sector, presents itself at the Deutscher Bibliothekartag 2013, March 11 - 13, at the Congress Center Leipzig. At booth E06 interested persons can see for themselves the high-quality products for the protection, care and repair of books. To make the visit worthwhile, each visitor to the Neschen booth will receive the book protection film of his choice for free to try it out. To this end, at the booth just a form must be completed - the sample roll will then be sent to the customer by parcel mail. "We focus on consultation and discussion and explain why we offer six different book protection films", says Anja Spitzer, Product Manager Documents at Neschen AG in Bückeburg. "We have all six with us." The book protection films "filmolux", "filmolux soft", "filmolux soft PP", "filmolux 609", "filmolux 610" and "filmolux libre" can be tested and tried directly on-site. Neschen's self-adhesive filmolux soft film, for example, allows easy cleaning and disinfection of books, protecting them against soiling and wear and thus extending their lives. It is especially suitable for use in libraries and schools and is characterized in particular by easy bonding. The reduced initial adhesion (the full adhesive strength develops only after 24 hours) allows laminating books without bubbles; during the gluing, the film remains correctable on virtually any surface. Moreover, a web cut in the covering foil also allows easy removal. "The correctable adhesive makes filmolux soft the film number one in the professional protection of books," says Anja Spitzer, Product Manager Documents at Neschen AG, Bückeburg. "What's even more: The glossy, crystal-clear surface makes the colours of the dust jackets particularly brilliant." 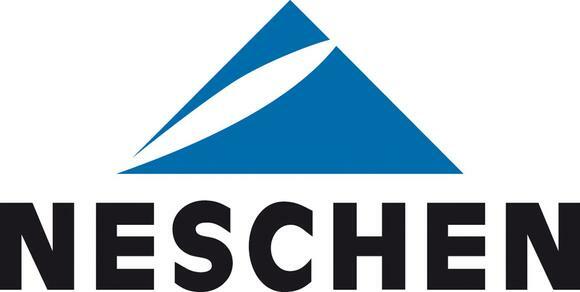 Neschen always processes solvent-free acrylate adhesives, which are ageing-resistant and permanently elastic. The coating specialist takes utmost care to ensure that the raw materials contain no potentially harmful additives such as heavy metals. At the Neschen booth, in addition to Anja Spitzer (Product Manager Documents) and Gunther Wienzek (Sales Manager Documents) also the two account managers Heike Rockstuhl and Daniel Weber will be available for technical questions. This is also where the forms for free delivery of the high-quality "filmolux" book films will be distributed. Caption: filmolux soft: This glossy, crystal-clear soft PVC film is only 70 µm thick and particularly easy to process manually. 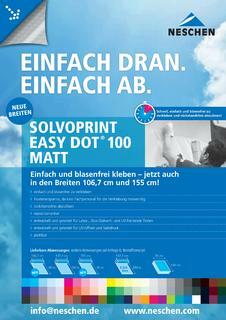 The clever thing: To facilitate accurate mounting, the bonding process can be corrected on virtually any surface. Caption: filmolux 610: Likewise a bright and crystal-clear PVC film of 70 µm - with particularly strong adhesion, ideal for adhesive-repellent surfaces such as rough fabrics like linen. It is used in particular for pasting over signatures and labels. Caption: "The correctable adhesive makes filmolux soft the film number one in the professional protection of books," says Anja Spitzer, Product Manager Documents at Neschen AG, Bückeburg. "What's even more: The glossy, crystal-clear surface makes the colours of the dust jackets particularly brilliant." 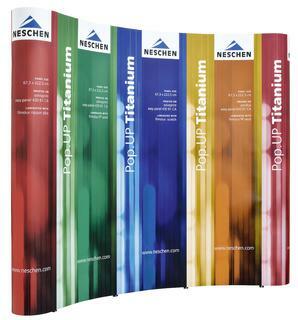 Neschen AG develops, produces and markets innovatively coated self-adhesive and digital print media, as well as processing machines and presentation systems for them. Moreover, the globally leading premium manufacturer helps its partners according to the motto "ideas for success" to successfully market their products and services: in the graphics business, in the library sector and in industrial applications. The Graphics product line ranges from finishing, protective and mounting films to printable media that can be used with state-of-the-art digital printing technology for avant-garde architecture, decoration and advertising. The Bückeburg supplier is the first address for printing service providers as well as for architects, designers, photographers, interior designers and advertising studios. In addition to this, the Graphics business unit comprises powerful laminating machines and high-quality display systems. The Documents section includes self-adhesive films and papers for protecting, repairing and maintaining books. Moreover, libraries, archives and museums get the necessary media and processing equipment from Neschen. Numerous products from this series are also used in picture framing: for mounting, fixing and protecting pictures and photographs. Based on more than 40 years of experience with special coating procedures, Neschen Technical Coatings further provide highly individual solutions for industrial customers from all sectors. These range from surface finishing in automotive manufacture to applications in clinical and medical environments.